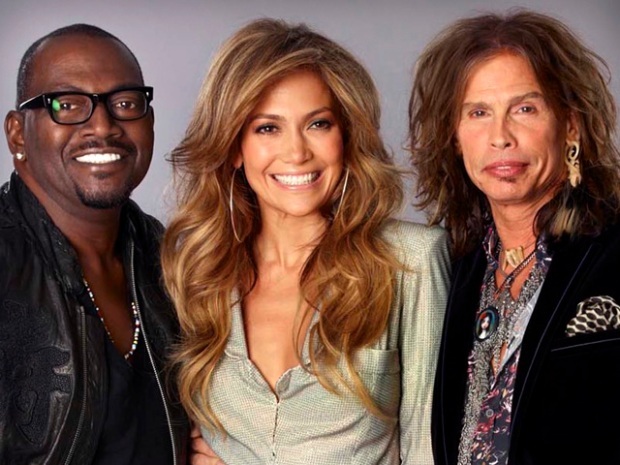 Jennifer Lopez and Steven Tyler Join "American Idol"
The waiting and speculation is finally over: "American Idol" will feature the global superstar Jennifer Lopez and rocker Steven Tyler in a completely revamped look for the January 2011 season premiere. It's looking like a recipe for television heaven as these two iconoclastic stars, both primed for controversy in their own way, slide into the judges' seats of one of television's longest-running and most popular prime time shows. Both are well qualified to say what works and what doesn't in the music industry, having sold millions of records. For the show's 10th season, only veteran Randy Jackson will remain from the existing panel of judges. All three took the stage for the first time in Los Angeles on Wednesday to be introduced by the show's host Ryan Seacreast. "I'm looking for the next Michael Jackson," a stunning Lopez told an amped-up crowd watching the introduction. It looks as though Tyler, the longtime Aerosmith frontman, will take on the tough acritical mantle passed on by Simon Cowell. “I’ve been on tour for most of my life in a band with four guys who judge me every day. Sometimes it hurt, but it only made me stronger,” Tyler said in a Fox press release. “I want to give everybody a little love before I decide who goes home heartbroken. If you don’t like what I say, don’t get mad, get better." Lopez, who has been the center of breathless reports of diva demands to take the spot, looks to be seeking the "nurturer" position made famous by Paula Abdul. “For nine years I’ve enjoyed watching artists compete to get a meaningful chance to achieve their dreams,” said Lopez. “I know from my own experience how hard it is to succeed, and I’m looking forward to discovering and nurturing that spirit." As if there wasn't enough music cred on the show, Fox has created an "in-house mentor" to work closely with the contestants on a weekly basis -- music industry legend/producer Jimmy Iovine, the chairman of Interscope Geffen A&M.